Global Group comprising researchers, patient representatives and health organisations have inaugurated `ICE-HBV Strategy’ a global scientific strategy for universal HBV cure. Michael Kessler, the Media Officer of the group said this in a statement on Thursday in Ibadan. Kessler said that the strategy was announced on Wednesday at the opening of the International Liver Congress hosted by the European Association for the Study of the Liver (EASL) in Vienna, Austria. Newsmen report that hepatitis B is a viral infection that attacks the liver and can cause both acute and chronic disease. 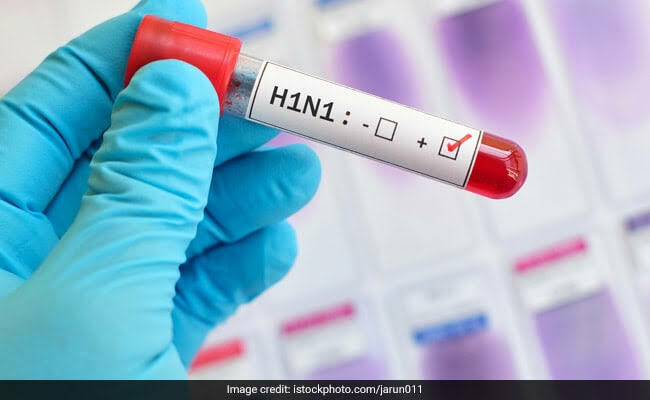 The virus, transmitted through contact with the blood or other body fluids of an infected person could be a global public health challenge on the same scale as tuberculosis, HIV and Malaria. “Today, more people die from chronic hepatitis B (CHB) virus infection than from malaria. It is a major global public health threat with more than 257 million people worldwide chronically infected. “Chronic hepatitis B (CHB) causes almost 40 per cent of hepatocellular carcinoma, which is the second leading cause of cancer-related mortality worldwide with and over 887,000 deaths per year,’’ Kessler said. According to him, the newly inaugurated strategy has laid the groundwork for the momentum behind hepatitis B cure research and the long-term implementation of HBV cure preparedness worldwide. The statement quoted Prof. Peter Revill, ICE-HBV Chair and Senior Medical Scientist from University of Melbourne in Australia as saying “some 900,000 people dying unnecessarily of hepatitis B every year is unacceptable. “Inexplicably, in spite of the huge human and economic toll of Chronic Hepatitis B, HBV research remains largely underfunded to the point of being compared to a neglected tropical disease. “HBV cure research could make all the difference and prevent adverse outcomes in people infected with HBV, allowing them to live treatment-free productive lives and reduce stigma associated with the infection,’’ Revill said. According to him, there is a safe and effective vaccine to prevent HBV infection and its universal delivery is essential for the elimination of HBV as a public health threat. The statement also quoted Su Wang, President-Elect, World Hepatitis Alliance as saying “curing hepatitis B is not a pipe dream, all the group desired is a cure’’. According to Wang, who is also living with hepatitis B, millions of them affected by the infection are happy over ongoing efforts to eliminate the disease, while demanding for a cure. Fabien Zoulim, ICE-HBV Deputy Chair, said recent scientific progress and momentum created by the discovery of a cure for hepatitis C virus (HCV) had created hope of a cure for HBV. Zoulim, the Vice-President, Scientific Advisory Board and head, HBV cure programme at the French Agency for Research on AIDS and Viral Hepatitis (ANRS) in Paris, called for universal approach to HBV cure. “We strongly believe that public health and research agencies need to go beyond the existing objectives. We must work together to discover and ensure access to curative treatment regimes. “ICE-HBV is calling for increased investments in HBV cure research and cure preparedness to save the lives of 257 million people living with chronic hepatitis B worldwide. “While ICE-HBV strongly supports WHO global health sector strategy on viral hepatitis and `Find the Missing Millions’ campaign of World Hepatitis Alliance, we call for a more universal health coverage approach,’’ Zoulim said.